We have been referred to as “the little engine that could” by our largest customer. 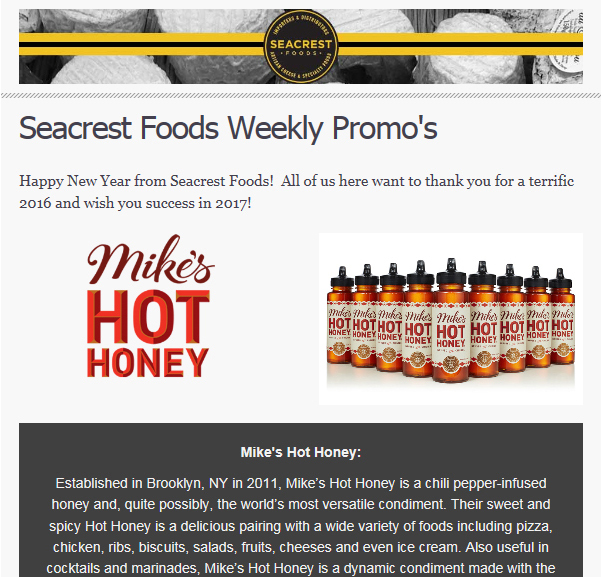 Seacrest Foods has been operating under the same name and the same principles since 1982. 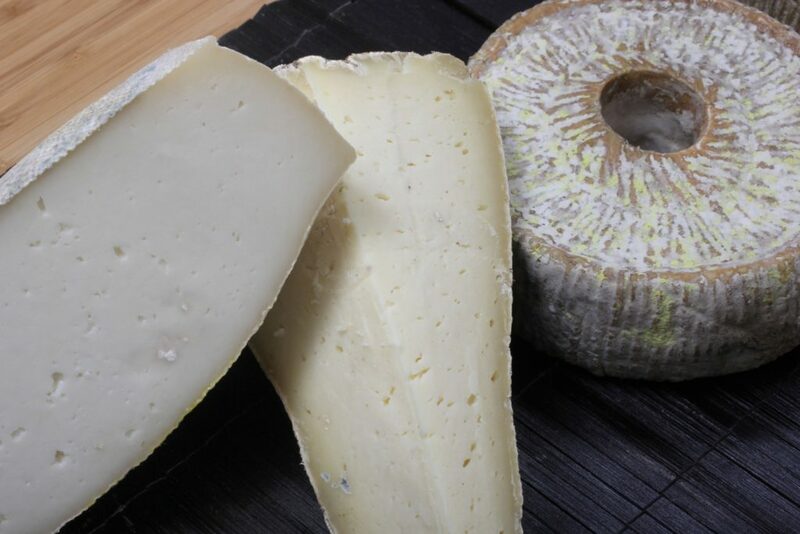 With our unique combination of hard work and open communication throughout the supply chain coupled with our strong and lasting relationships with our vendors and cheesemakers, we have become a preferred distributor among our industry. Our flexible attitude and responsiveness appeal to our customers and their unique needs. We love cheese and we have been selling it from Vermont to New Jersey while enjoying the industry growth along the way. Our sales team is a dedicated crew who have been selling at Seacrest for an average of ten years. We are keenly focused on the specialty foods market and offer our customers the personal attention that you may not be getting elsewhere. In addition to providing a wide array of imported artisan products, we pride ourselves on the promotion of local farms of New England and New York. Our expansive and unique product offerings reflect the diverse needs of our customers. Our purchasing team searches continually to find quality foods that specialty shops, chefs, caterers and fine grocery stores alike appreciate. We are an importer and a regional distributor of specialty foods. Our unique product offerings have appeal and reach throughout the entire specialty food segment. We work closely with our vendor partners and brokers to offer products, as well as marketing and promotional plans, to fit your needs. All of our products are stored at our warehouse just outside of Boston. Our facilities are equipped with 24-hour temperature monitoring systems, RF Guns, separate storage for ambient, cold and frozen plus chocolate refrigeration. We are a certified HACCP seafood facility featuring roll-up doors, refrigerated and dry receiving docks. Our fleet of twelve trucks comes complete with our own fun-loving yet serious-about-their-job drivers. The Big Cheese aka Cheese Bob, Dad, Grampy. Can be found under the hood of a hot rod restoration project in his spare time. An Italophile that has an affinity for fire roasted meats that exacerbates a constant struggle between gluttony and athletics. Alberto’s favorite cheese is Mozzarella di Bufala Campana straight from the brine bath. An archivist turned cheese junkie who loves running marathons and listening to podcasts. Don’t make her choose between Gruyere and Comte because she can’t and she won’t! Carmela brings over 35 years of industry experience, calling on major retailers, specialty accounts, and food service accounts. Kim handles our largest chain account along with her dedicated team. She enjoys being goofy with her family and thinking about what to make for dinner. Lisa’s love of blue cheese goes way back to her childhood and time spent sharing a wedge of good blue cheese with her Grandpa for lunch. It’s a good thing her dog, Sully, power-walks her every morning! Meet Susan Fallon Brennan. Susan’s current cheese obsessions are Alp Blossom and Robiola Foglia di Porro. A novice gardener with a culinary background, she loves BBQ, The Rolling Stones, and a slice (or 2) of pie for breakfast. Fernweh is etched in her soul. Brooklyn’s in the house! Representing NYC, Ashley is a self-professed cheese lover of alpines and blues, with a special affinity for Chiriboga Blue. Nate was born a cheese lover. His favorite style is Alpine and of those he loves the selections from Columbia Cheese. I got into cheese by way of beer. Nothing like that perfect pairing! Perfect lunch is Valencay, honey and a fresh baguette. Catch me on my bike on the weekends!